A&A limousines is committed to providing quality service that will result in a superior travel experience. Charter Bus or Coach Bus is a luxury vehicle with so many features for a comfortable journey. Charter buses or Coach Buses are getting extremely popular as they offer the same comfort and luxury of commercial jets. We have the most modern fleet of charter buses and coach buses. If you are in need of a coach bus service, we can provide coach buses that can seat up to many people. Lavatory and large luggage compartment is also available with coach buses. We excel in ground transportation management for corporate clients and private events. We have great reputation for having managed many corporate events throughout the country. A Major portion of our business is corporate travel and travel management services. Picking your employees from anywhere to shuttling large groups to and from large events, we do it all very effectively and efficiently. Whether you are holding a sales conference or shareholders meeting we do it with perfection. When it comes to corporate travel management, it has to be done meticulously as well as economically. Armed with a team of professionals and coupled with cutting edge technology, we will be able to do a superb job on your travel plans. 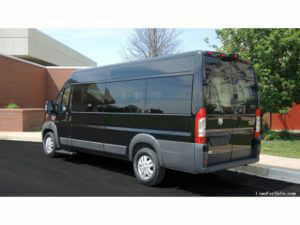 Finding a reliable transportation service provider is always a challenge for corporations and for private individuals. In my years of service with many credible agencies and customers, A&A limousines provides all types of ground transportation services such as limousines, party bus, charter bus, and executive charter bus rental. We guarantee the best possible charter bus rates. Our charter booking process is simple and our staffs are easy to work with. Over the years we were able to build the trust of thousands of our customers. Ninety per cent of our business is repeat customers.